The plan will be considered by the Randolph Planning Board at a public hearing on Thursday, December 5th, at 7:00 pm in the Randolph Town Hall. 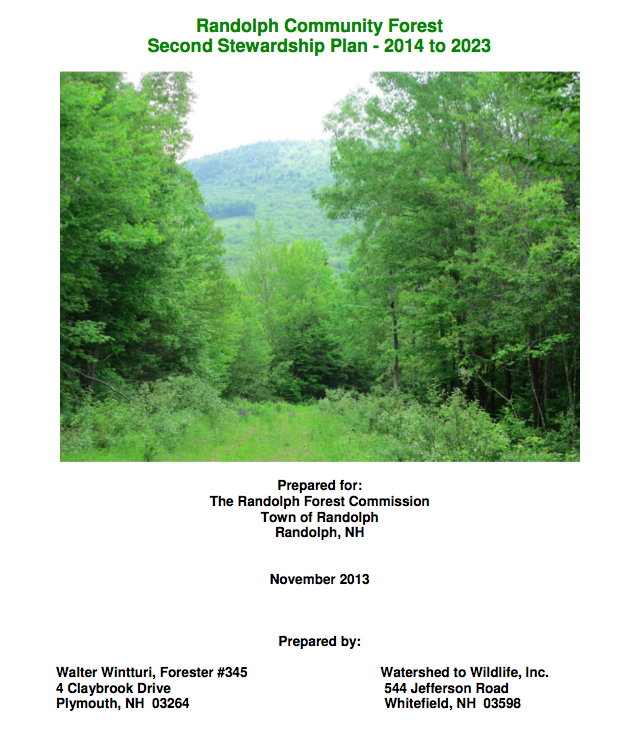 Printed copies of the Forest Plan are available at the Randolph Town Hall, the Randolph Library and the Town Clerk’s Office. We hope to see you at the meeting. In the mean time, please let us know if you have questions.